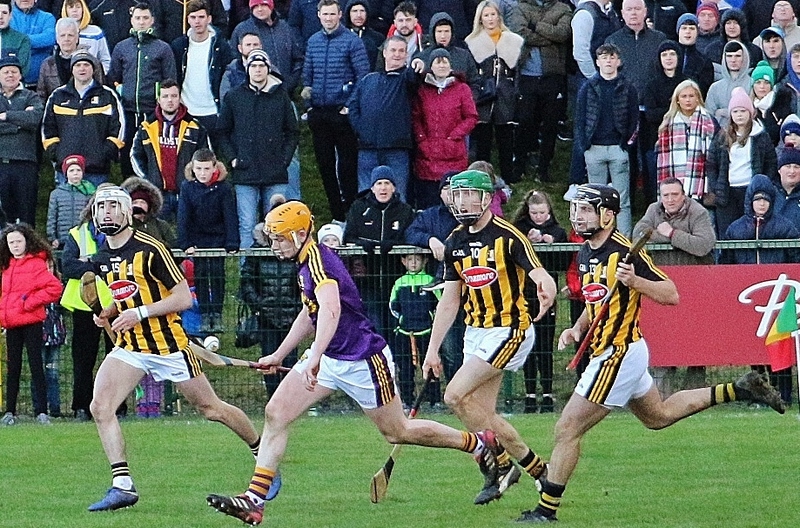 Paudie Foley was the exception on a difficult day otherwise for free-takers as the centre-back’s tally of 0-7 carried holders Wexford past neighbours Kilkenny in Sunday’s Walsh Cup senior hurling semi-final at a pleasant Bellefield. Both sides tried several different dead-ball shooters during a rather flat encounter. But Foley was the outstanding exponent of the placed-ball as Wexford kicked-on to overturn a 0-10 to 0-9 deficit after 44 minutes and nail a home-date against Galway in next weekend’s tournament-decider. Kilkenny began positively with points from Conor Fogarty and Luke Scanlon inside five minutes. But the Cats’ ‘keeper Darren Brennan was spared some serious blushes early on when getting back in the nick of time to retrieve the situation after a block down on the goalkeeper by Conor McDonald saw the ball hurtling dangerously towards goal. Wexford’s Foley eventually got the home-side on course with a couple of pointed frees from inside his own half to tie matters after eight minutes, and Foley and Ian Byrne further enthused the locals amongst the large attendance when sending the title-holders 0-4 to 0-2 clear on 13 minutes. Kilkenny twice got back level before Harry Kehoe edged Wexford ahead by 0-6 to 0-5 on 30 minutes. However, Brian Cody’s men seized control through three late frees from Kevin Kelly. But a rather flat first-half ended with just 0-8 to 0-7 separating the neighbours after Harry Kehoe converted a third free during added-time. Skirmishes marred this derby either side of the interval, and the second bout of fisticuffs resulted in the sides both being reduced to 14 men, as Kilkenny’s Liam Blanchfield and Wexford sub Jack O’Connor were dismissed shortly after O’Connor had restored parity from a free on the re-start (0-8 each). Martin Keoghan appeared to stabilise Kilkenny with a couple of points as they led 0-10 to 0-9 on 44 minutes. But Wexford then asserted control to transform matters by 0-14 to 0-11 after 59 minutes as Foley (3), Aidan Nolan and Diarmuid O’Keeffe helped seized the initiative. Crucially the tie lacked any goal-scoring potential outside of the Kilkenny ‘keeper’s potential early mistake, and Wexford saw out the game to avenge three successive defeats to the black-and-amber since having defeated Kilkenny after a shoot-out in last year’s Walsh Cup final. 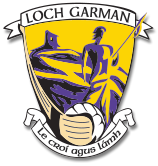 Wexford: Eanna Martin; Shane Reck, Liam Ryan, Conor Firman; Simon Donohoe, Pádraig Foley (0-7, 6 frees), Shaun Murphy; Aidan Nolan (0-1), Diarmuid O’Keeffe (0-1); Harry Kehoe (0-3 frees), Kevin Foley, Ian Byrne (0-1); David Dunne, Cathal Dunbar, Conor McDonald (0-1 free). Subs: Liam Óg McGovern (St Anne’s) for Byrne (ht); Jack O’Connor (0-1 free) for Kehoe (ht); Seamus Casey (0-1 free) for Nolan (temp., 49); S Casey for Dunne (51); Darren Byrne (Blackwater) for S Murphy (63). Never miss an update! 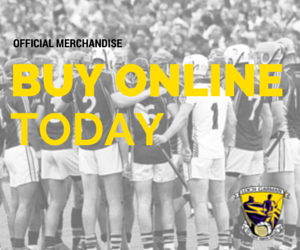 Sign up to the Wexford GAA newsletter. View the latest Coiste na nOg news, upcoming events and general information by using the button below.